The Schlern (Italian: Sciliar) is a mountain of the Dolomites in South Tyrol, Italy. The best place to take pictures of the Sciliar is my opinion the Alpe di Siusi, which is also a skiing area. 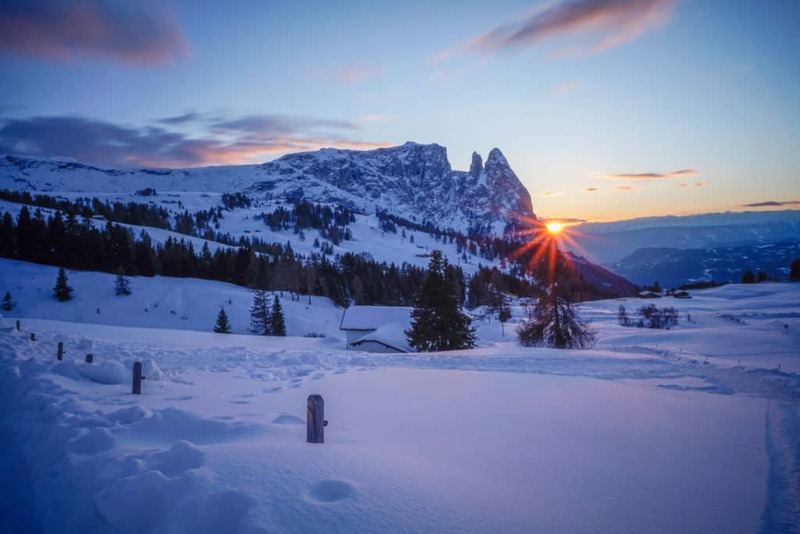 The Alpe di Siusi is great for hiking and winter sports. There are countless photo opportunities. One of them is the Schlern. 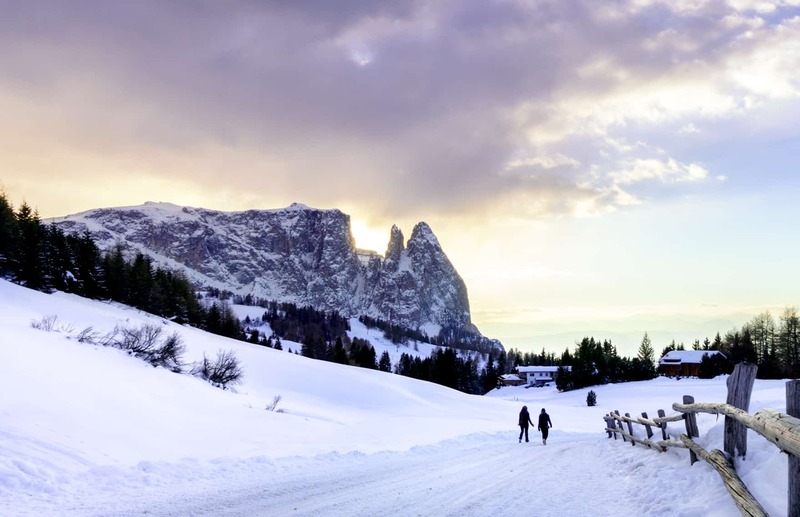 The road to the Alpe di Siusi is closed for private traffic from 9:00 am to 5:00 pm. You can also reach the place by cable car, which closes at 18:00 hrs. In the evening the sun sets behind the Schlern and so this is the best time in my opinion to take photos. In good weather conditions, you get a yellow violet glowing sky. A kit-lens (24/28-50) works here well but like always everything you have in addition is a plus. 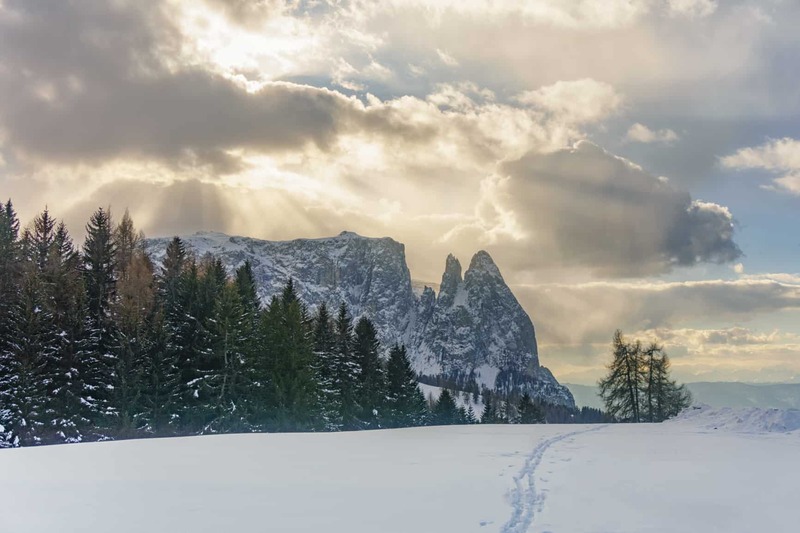 A tripod and neutral density filters are for me essential tools in landscape photography.